Congrats. Those race plastics look sweet. Great looking ride. 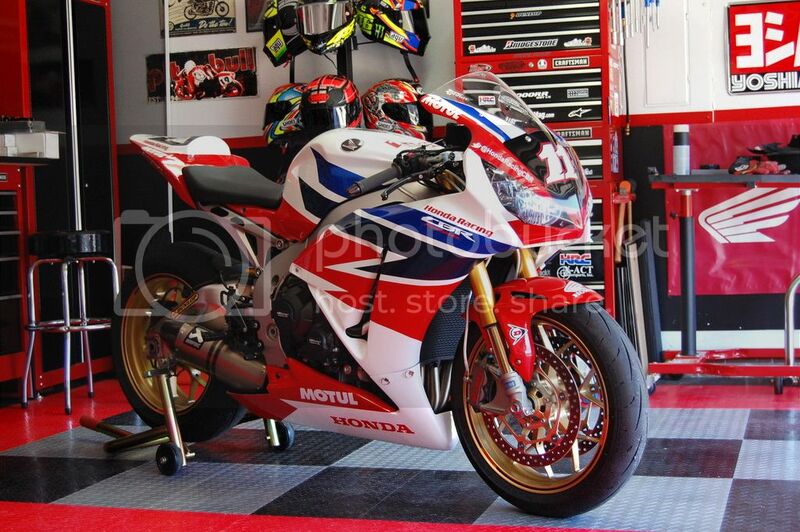 Which race fairings are those? Louis you prize whore!! lol Congrats. Now show off the APE! LOL, yeah the Honda V4 cry club lives on. One day I hope. I have been seriously thinking of selling the VFR and buying a Tuono for sport touring. Its got 75 more hp and 100 lbs lighter. Install a little wind protection, throw on some soft bags and haul the mail! LOL! I dare you! do it men they are a blast to ride! If I swing a leg over one I'll probably be in trouble.